If you were recently diagnosed with mesothelioma in the state of Washington, you’re not alone. The state is ranked ninth in the nation for asbestos-related deaths, with more than 1,500 people losing their lives to asbestosis or mesothelioma between 1999 and 2013. The Pacific Northwest was formerly a hotbed of asbestos before regulations began in the 1980s, and many workers in industrial careers suffered occupational exposure that just now presents symptoms. If you were diagnosed with mesothelioma, it's vital that you speak to an attorney who has experience handling of asbestos lawsuits. Contact the mesothelioma attorneys at Neblett, Beard & Arsenault today, or learn more about options in our free ebook, Mesothelioma and Your Legal Rights. Malignant mesothelioma has only one cause: asbestos exposure. Asbestos is a naturally-occurring mineral that may be inhaled or ingested, irritating the lining of the lungs and other organs. People can suffer low-level exposure nearly anywhere the mineral is present, but mesothelioma is typically caused by high levels of exposure—such as working with asbestos materials for a significant length of time. Mining. Asbestos deposits may be found while mining coal, gold, silver, zinc, copper, silica, limestone, or uranium. In addition to natural asbestos found above Spokane in the central Cascades, Washington miners may have been exposed to asbestos due to tainted vermiculite shipments. According to the U.S. Environmental Protection Agency (EPA), Seattle, Spokane, and up to 30 more locations throughout Washington received shipments of asbestos-containing vermiculite from a Libby, Montana mine. Shipbuilding. Asbestos is still used in shipbuilding to insulate boilers and pipes in engine rooms, placing those who previously worked in shipbuilding and ship breaking at risk. Duwamish Shipyard, Bremerton Naval Shipyard in Puget Sound, and Todd Pacific Shipyards are just a few sites where exposure may have taken place. Lumber mills. Lumber and paper mills are major industries across the Pacific Northwest, and Washington is no exception. Mills such as the Scott Paper Company and Weyerhaeuser Lumber Company may have used asbestos-containing adhesives or tainted drying felts during production, placing workers at risk of inhaling toxic fibers. Oil and gas. Shell Oil Company, Chevron Chemical, and Texaco Incorporated are three local oil and gas companies which may rely on asbestos to insulate wires, pipes, and generators. Employers and managers of these and other energy producers might have put unsuspecting workers at risk. Military service. All branches of the U.S. military rely on asbestos for insulation, and service members could be exposed during deployment or on home soil. Retired service members may unknowingly inhaled or ingested the material at one of Washington’s military sites, including Fairchild Air Force Base, Fort Lewis, or Naval Station Everett. Manufacturing. Many manufacturers, including Washington’s aluminum plants, rely on heat-resistant materials such as asbestos to prevent fires. Although Washington’s last two operating aluminum smelters were shuttered in 2015, workers at plants in Wenatchee, Ferndale, and elsewhere may have suffered asbestos exposure during operation. Construction. Construction workers are at risk through contaminated insulation when demolishing buildings constructed before asbestos regulations were in place in the early 1980s. Nuclear facilities. A 1997 study showed that up to 30 percent of people who worked at the Hanford nuclear site potentially suffered severe asbestos exposure—13 percent of whom already dealt with impaired lung function. Secondary exposure. Employees exposed to asbestos on the job may have accidentally exposed family members by carrying tiny fibers home on their work clothes. This form of contamination, known as secondary exposure, often led to asbestosis or mesothelioma in the children and spouses of workers. While mesothelioma patients in Washington are close to some of the most respected cancer centers in the nation, treatment in these facilities can be extremely expensive. Fortunately, a successful mesothelioma claim can hold a former employer liable for the costs of your medical care, as well as the costs of travel to see the specialist of your choice. UWMC Seattle Cancer Care Alliance. The Seattle Cancer Care Alliance (SCCA) offers treatments such as radiation therapy and chemotherapy, as well as surgery and inpatient care at the University of Washington Medical Center. SCCA offers both external and internal radiation and chemotherapy that may be taken in pill form or issued intravenously. SCCA also offers a clinical trial program to bring new and innovative mesothelioma treatments to patients more quickly. Swedish Cancer Institute. The Swedish Cancer Institute in Issaquah has been recognized as one of the top providers of malignant pleural mesothelioma treatment in the country. Patients have the benefit of a multidisciplinary team of oncologists, pulmonologists, and surgeons, with treatment options including chemotherapy, surgery, and radiation. Patients also have the opportunity to participate in clinical trials aimed at stopping mesothelioma progression. Also available are emotional support and counseling sessions for patients in all stages of treatment. Mesothelioma sufferers only have a limited window of time to file a claim against their former employers or the manufacturers of an asbestos-containing product. 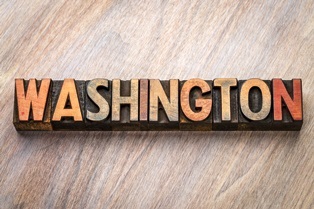 State laws require all Washington residents to file a claim within three years of the date of positive mesothelioma diagnosis, while families have three years from the date of a loved one’s death from mesothelioma to file suit. Although three years may seem like a long time, it's best to investigate whether you could be owed compensation as quickly as possible. One reason is the factors of your case can affect which state’s statute of limitations applies to your claim, such as the location of the asbestos company and the worksite where your exposure occurred. It can also take some time to track down the most likely place where you first suffered exposure, especially if you have a long work history or some companies are closed. If you're struggling after a mesothelioma diagnosis, we can fully investigate the claim on your behalf. We don't collect any fees until we win your case. The asbestos attorneys at Neblett, Beard & Arsenault work on a contingency fee basis, and with our free consultation service, it won't cost you anything to learn more about your options. Contact us online or call us directly at 318.588.6303 to schedule your free consultation.